There’s nothing cuter than young dorks. 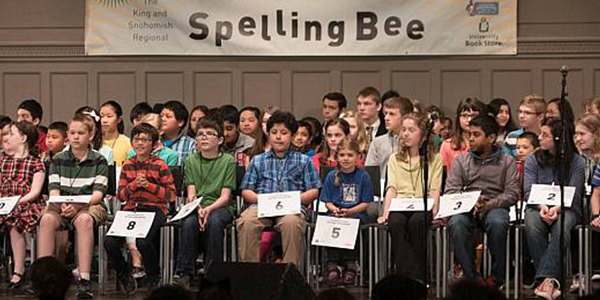 For proof, look no further than the regional spelling bee, which brings 90 of the area’s most linguistically astute middle-schoolers to compete in a contest that is both a celebration of language and of adorable youth. This year’s competition will be moderated by Seattle Radio Theatre founder and KIRO host Feliks Banel, but the stars, as ever, will be the kids. The final speller standing advances to the annual Scripps National Spelling Bee in Washington, DC, so come, pick out your favorites, and support these young spellers as they battle it out. What could be more eudaemonic than that?